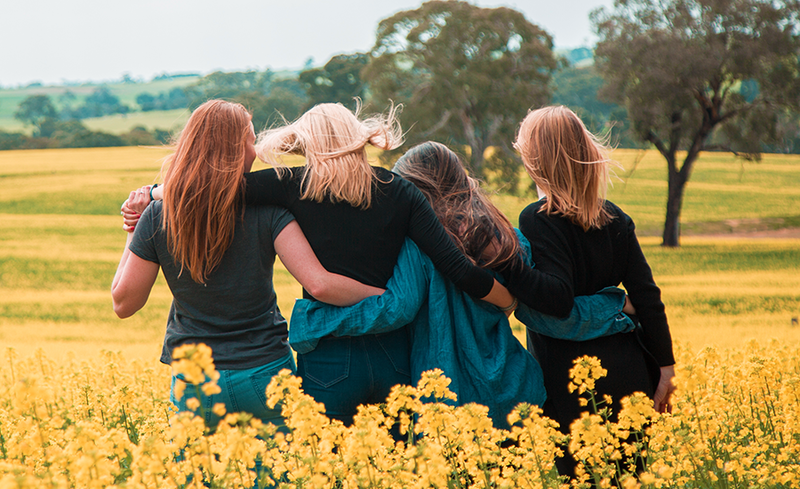 Simply put… Micro-influencers are everyday people who love creating content. 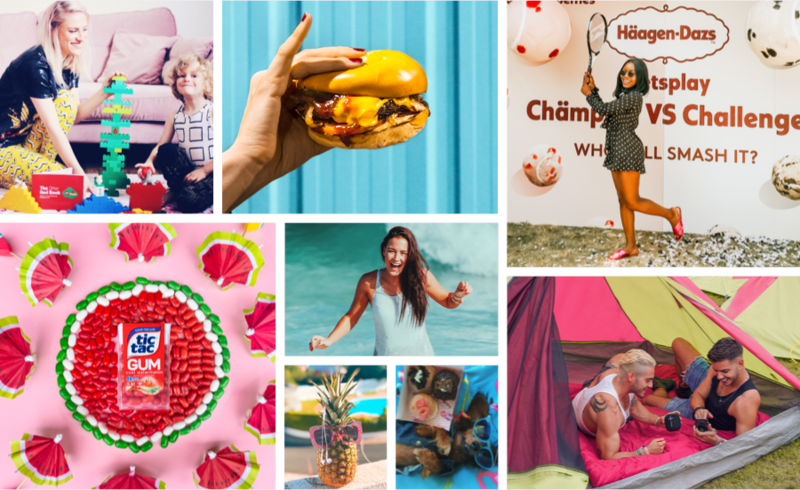 Unlike celebrity influencers, these talented individuals have built smaller, more engaged audiences around a specific passion, everything from beauty, fashion and travel to food, fitness and art. 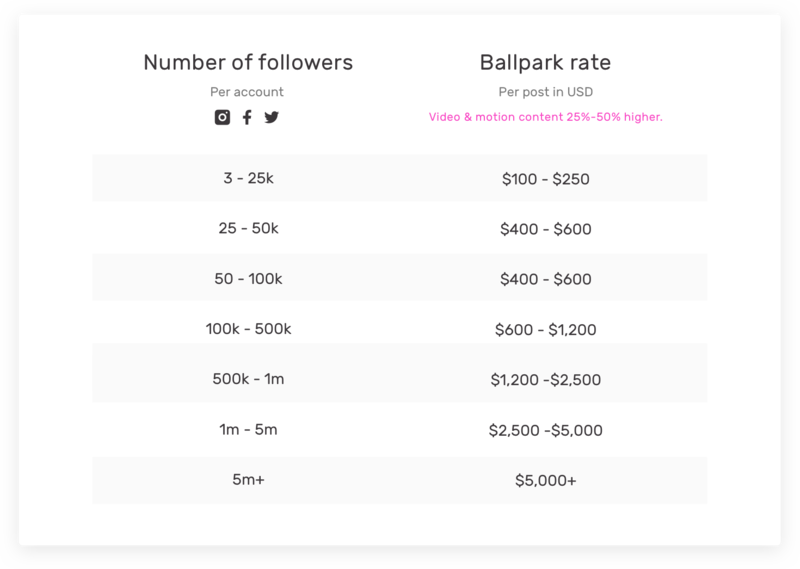 If you love taking beautiful pics and have more than 3,000 followers on Instagram, Twitter or Facebook, then you're already a micro-influencer! 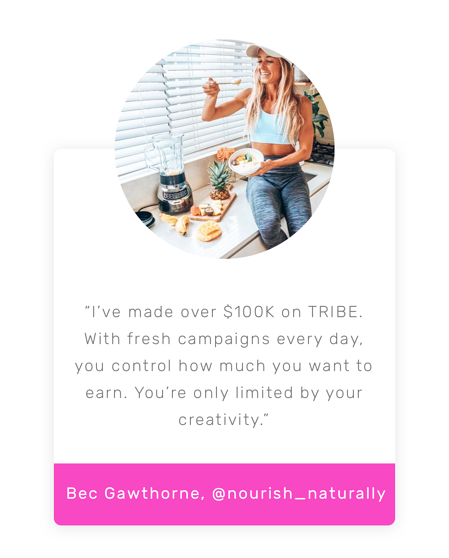 TRIBE is a clever little app that connects micro-influencers with the brands they already use and love. 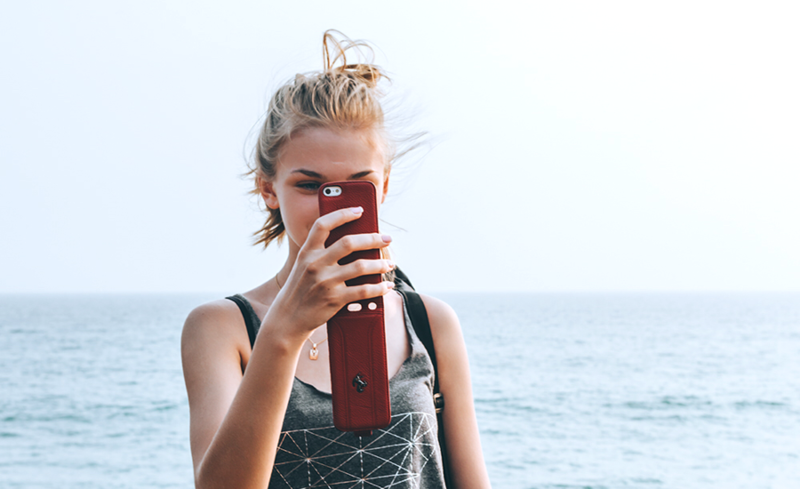 In fact, if you looked over your feed, you’d be amazed at how much of your eye-catching content already features a product or a brand. 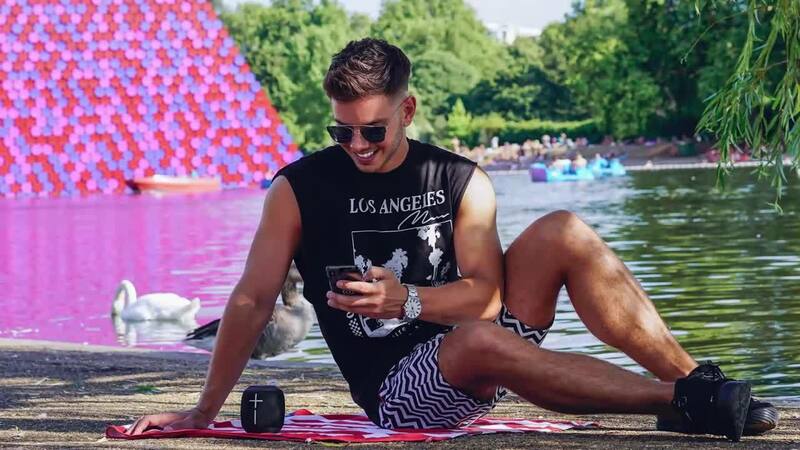 TRIBE’s mission is to ensure you now get paid for it! 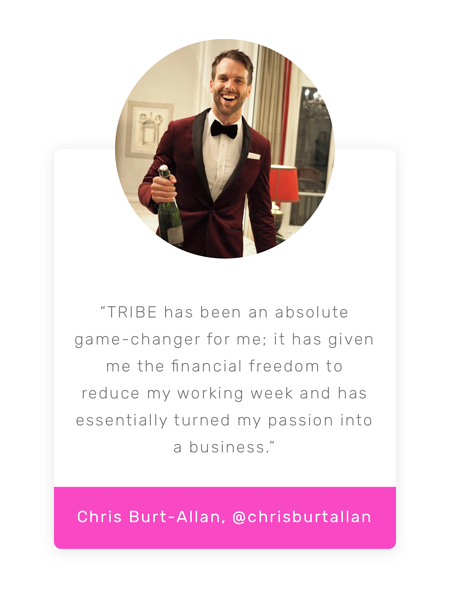 • TRIBE pays out over $750,000 every single month. • Set your own fee and get paid 100% of it within 48hrs of posting. 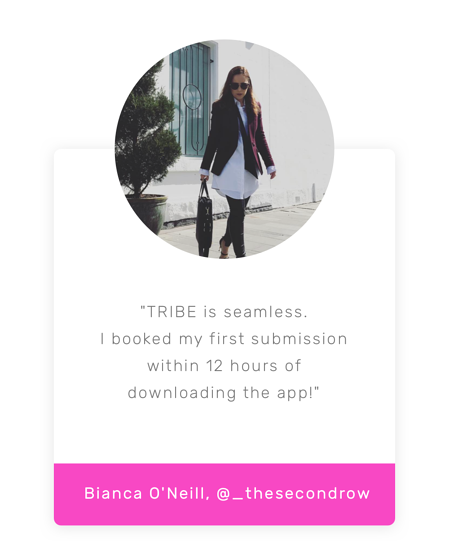 • Rather than brands choosing influencers, on TRIBE you select the brands you want to work with. 4. 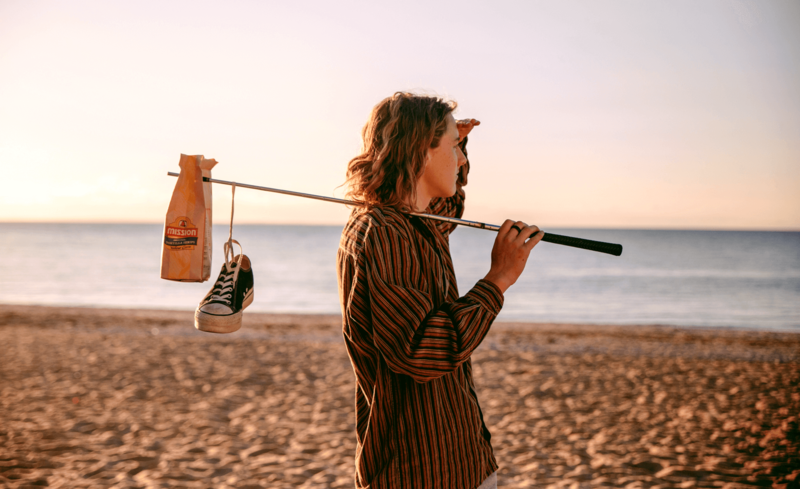 Wait for the brand to approve and get paid!